I have been doing pretty well on selling my closet onto Poshmark, but this time I get to actually meet the buyers and you get to see what I am selling! I have three big boxes I am putting together to sell (lots of prepping right now!) and I really hope to see you there! 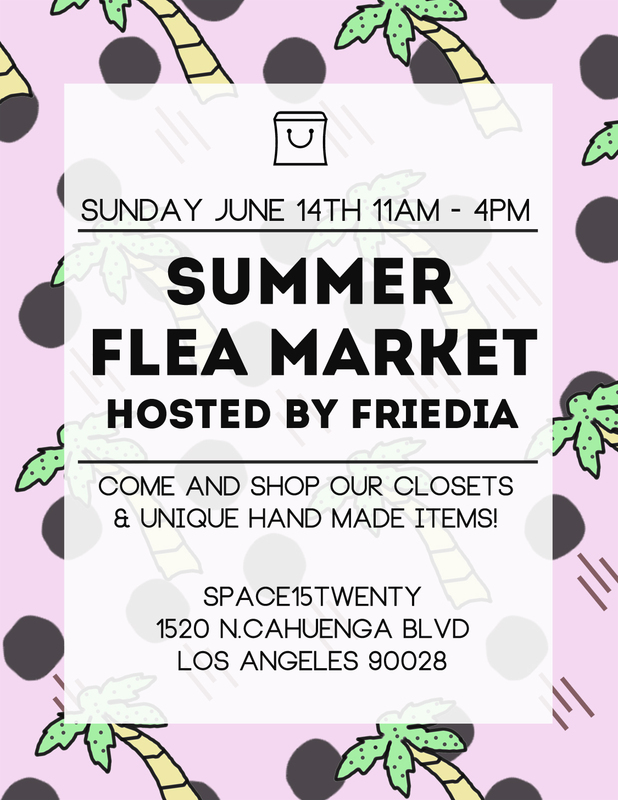 If you like flea markets or farmers markets (hollywood farmers market happening right around the corner) OR maybe you just wanna shop at Urban Outfitters then come by and say hello! Would love to see your faces~!! I hope the flea market goes well. Cause I’ll be At Washington D.C. Around that time.